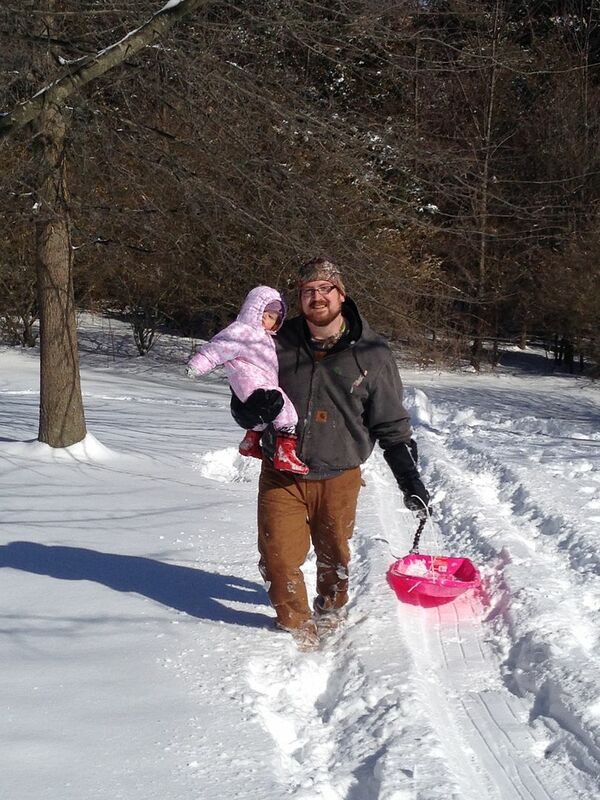 Since we moved to Southwest Virginia, I have been desperately seeking some snow. I knew that we had a good chance of getting a fair amount of snow accumulation and with Tolar back in school I knew he would get some days off. In D.C. I RARELY (like one whole day off during Snowmageddon 2010) got snow days off from the theatre so I was really excited to have an opportunity for the three of us to get some snow days together. 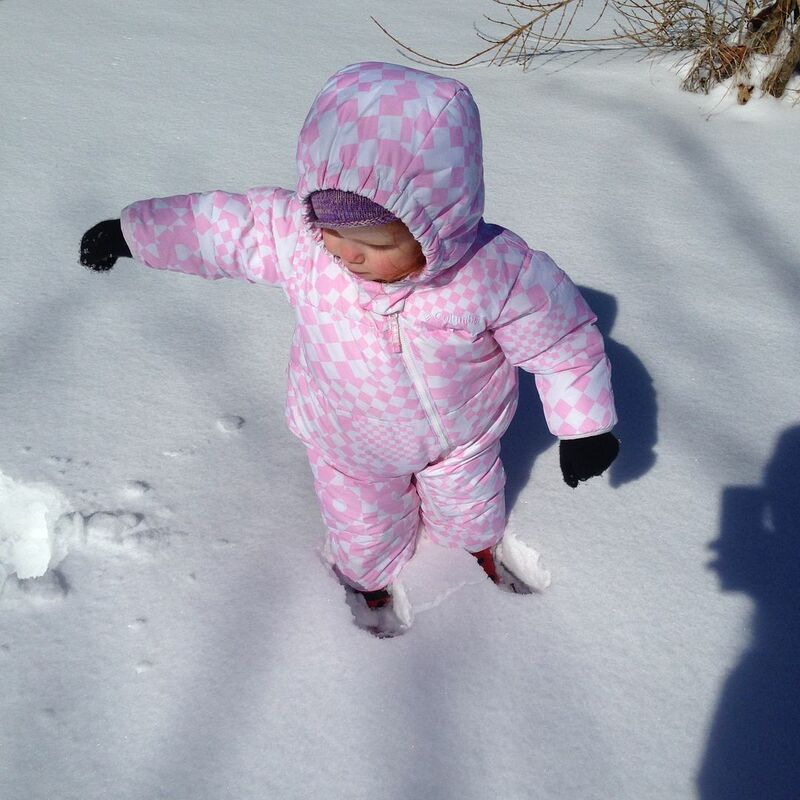 Baby K has never had an opportunity to play in the snow as she was too little to walk last winter. Nothing in January around here and I was starting to give up hope. 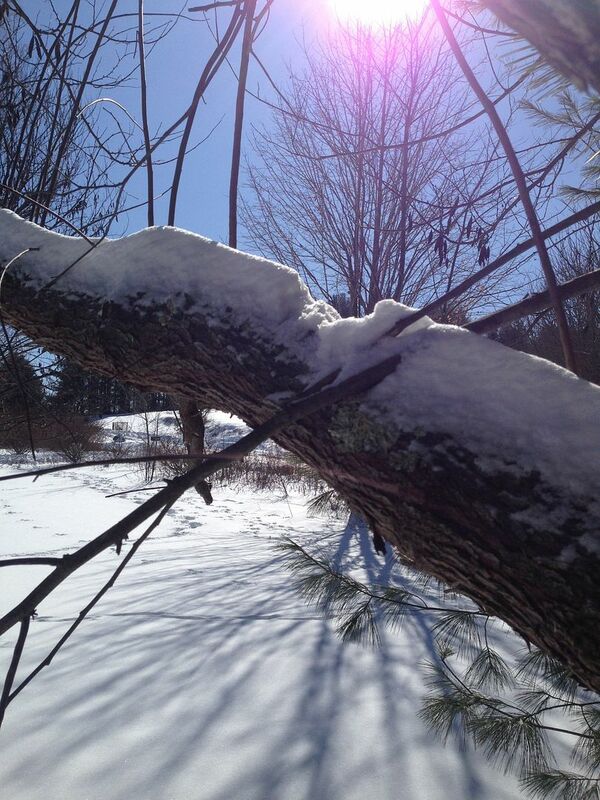 But hello February, we got some snow! So far this week, Tolar has had four days off from school. 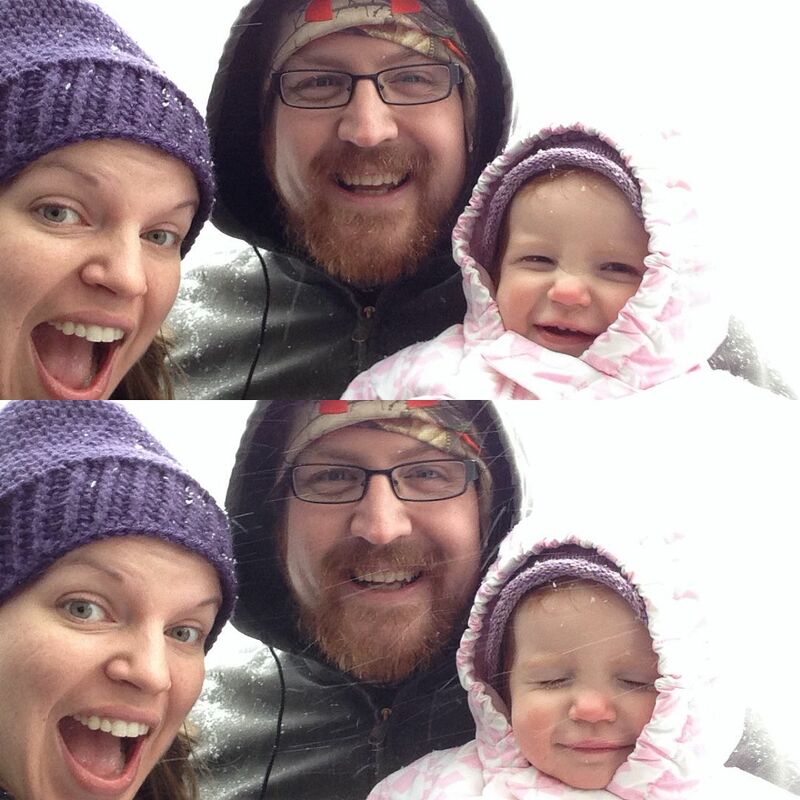 I worked from home yesterday, but we have still had a lot of time to relax and play together and introduce Baby K to the joys of playing in the snow. 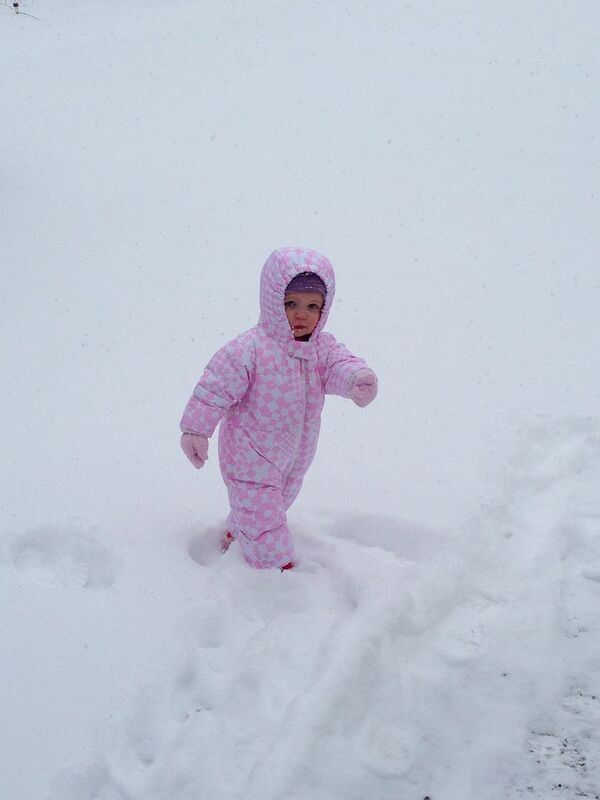 And did my child find joy in the snow!!!! SHE LOVED IT! 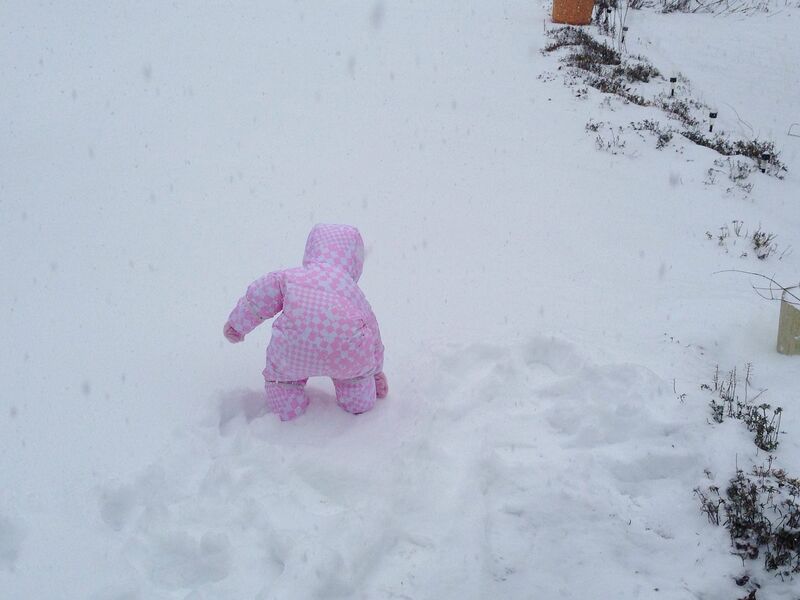 In fact, she didn't want to come inside. She cried a lot when we came inside and begged us (pweese, pweese, pweese) to go back out. Poor child didn't understand that we would go back out, we just needed to warm up and for her face to quit being so red! Fun was had by all. 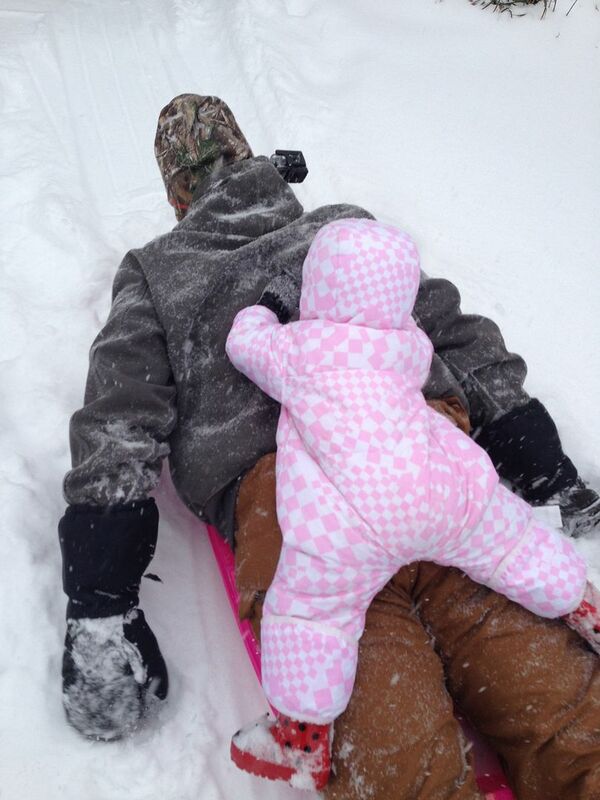 We went sledding at both our house and my parent's house, Baby K got to swing, my parents had us over for a yummy pancake dinner and we had more than enough time to cuddle and watch Netflix. 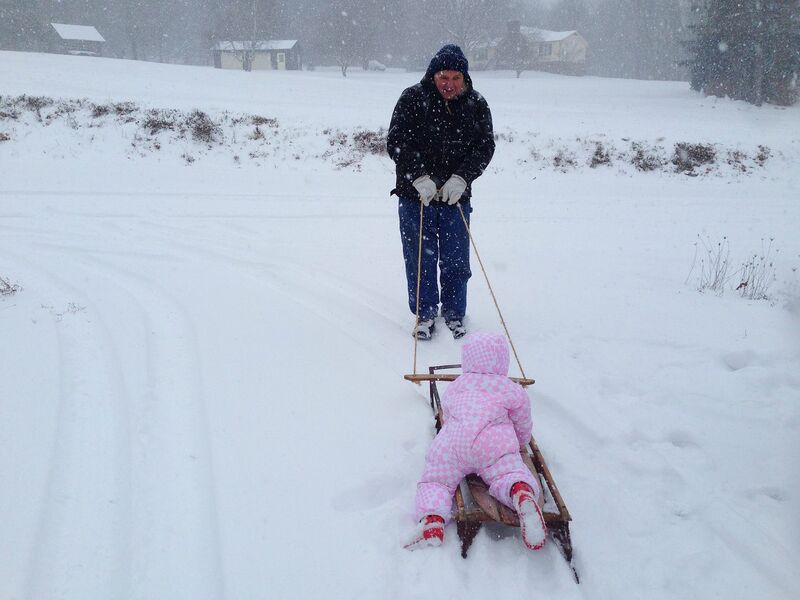 I love that snow causes us to stop and slow down, to put our to do lists away and just have fun! 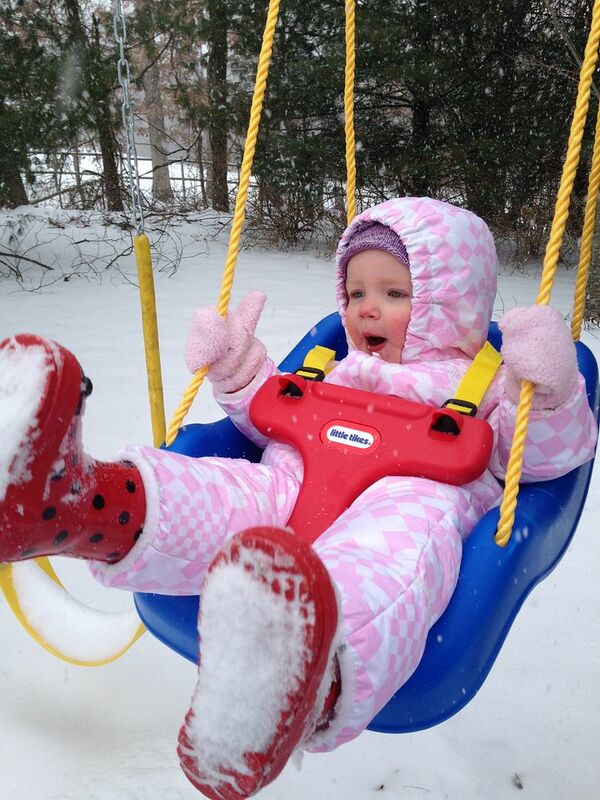 So happy that you guys got your snow day! 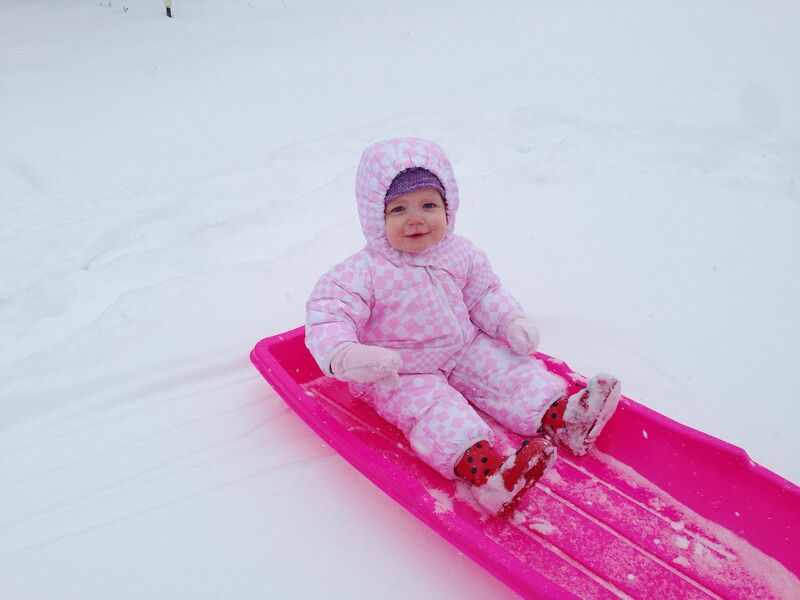 She looks like she really enjoyed it--I love her cute little self all bundled up in pink!! Hope you guys are staying warm with these extra cold days!! YAY, snow! I'm like your old job, I RARELY get a day off with snow even if the wimpy schools and government closes. 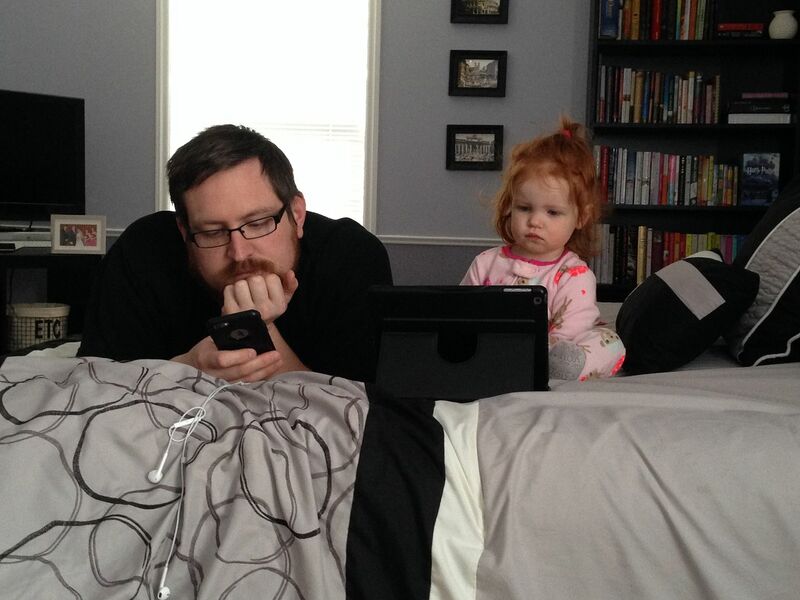 Luckily I've been able to work from home the few days we've had so it's kind of a win. 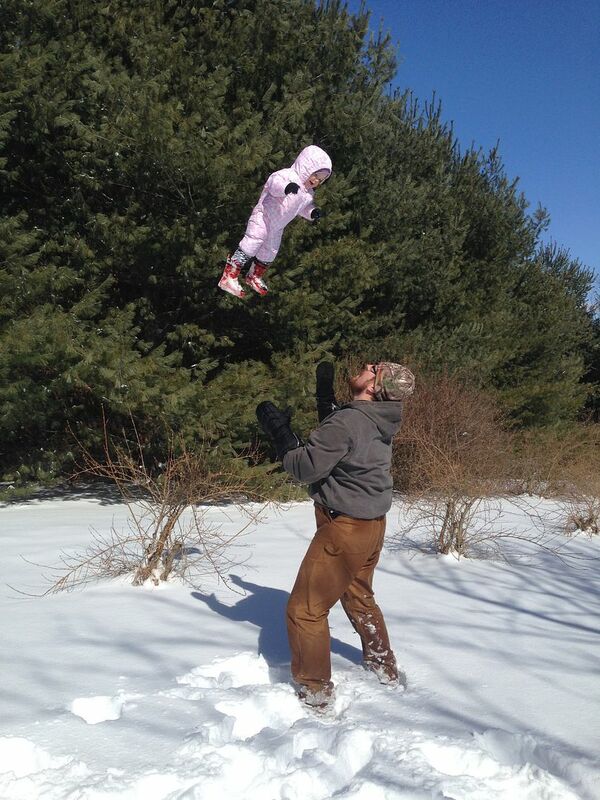 Glad y'all got to enjoy the snow together :)!